What an exciting day #GivingTuesday was yesterday! We want to thank every one of you who donated and shared our fundraiser. There are many worthy organizations you can donate your money to, so from the bottom of our hearts, we are so appreciative. 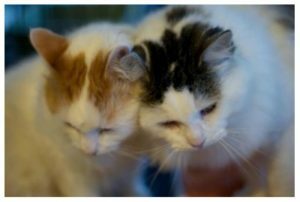 It costs thousands of dollars a month to keep the Goathouse Refuge open to do the work we do rescuing kitties and giving them a second chance for the health and life they deserve. 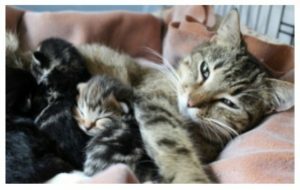 We can’t save every cat in need but we help as many as money, space, and manpower will allow. 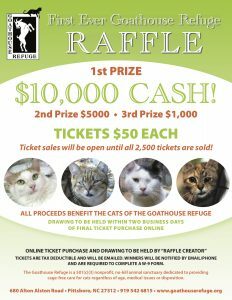 We are also getting very close to selling the 2500 raffle tickets where someone will win $10,000! It could be you if you have a ticket. 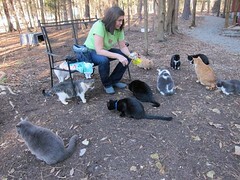 Please come visit the refuge when you are in the area and continue to follow us on Facebook. Happy Holidays to everyone and thank you so much for your support.